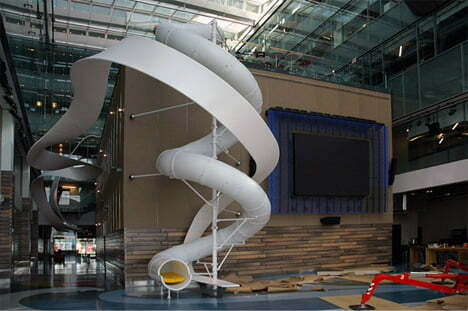 Remember how much fun it was to zip down the slides at the playground as a kid? 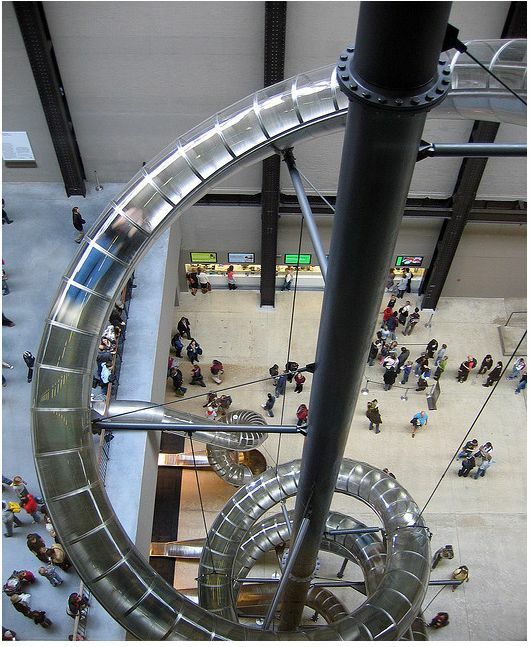 That feeling of flying through space was so exhilarating that you just couldn’t wait to climb the stairs and do it again, over and over. 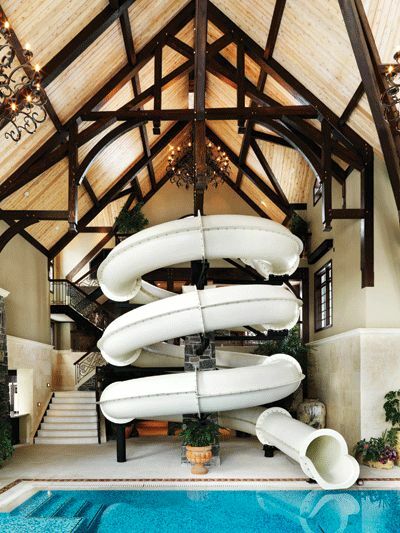 Maybe you dreamed about your own indoor slide? Childhood fantasies can come true no matter how old you are! 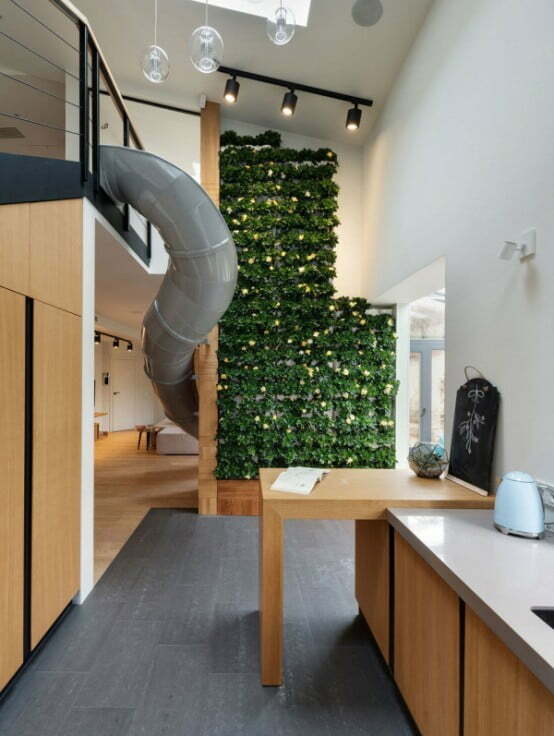 Some architects and artists are taking a cue from their younger selves and bringing the fun of slides indoor for everyone’s enjoyment. But far from just being indulgent bits of fun for the office or home, they also serve some unexpectedly practical purposes. 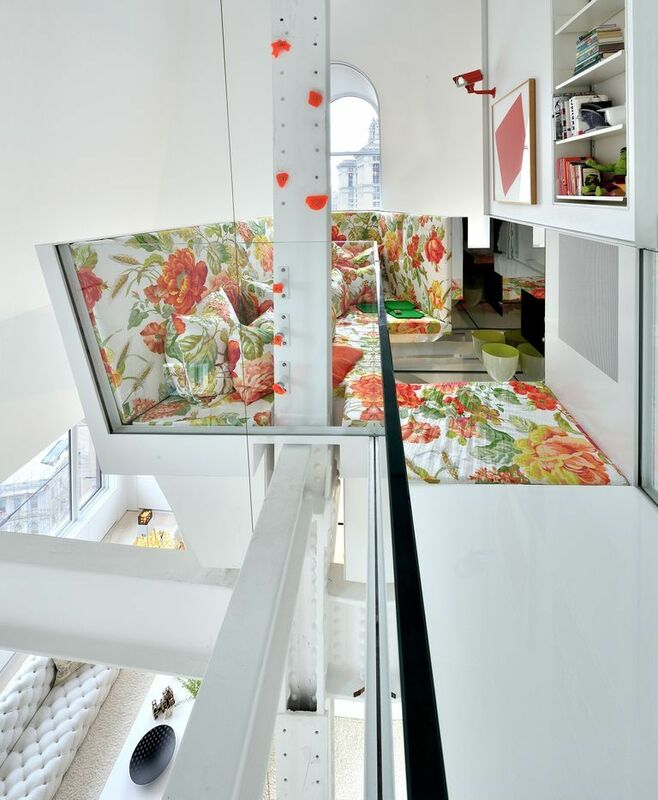 This Ukrainian apartment design by Ki Design is split between two levels on the top floor of a 1917 building. 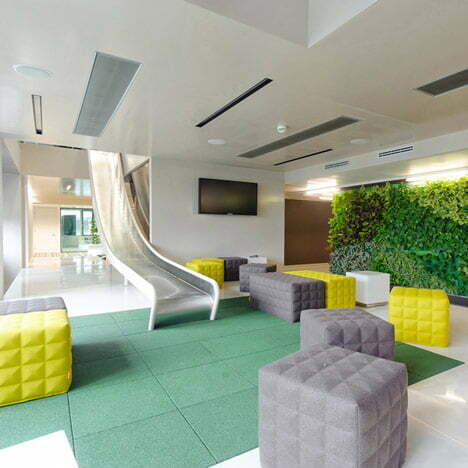 Obviously, that meant Ki Design Studio had to design a slide that linked the two floors. The first floor houses the living room, dining room, and kitchen while also having separate rooms for the future children. Upstairs, there’s a master bedroom with a dressing room and bathroom, a guest bedroom with a private bathroom, and an office. The interior was designed with quite mild color scheme: warm white, warm light gray, graphite, and oak tree. Color accents are present in textiles – rich turquoise in upholstered chairs, armchair, and throws textiles. The American Tract Society Building is one of the oldest surviving skyscrapers in Manhattan. Tucked away inside is a four-story, 6,500-foot expanse with full panoramic views of the city. It had never been inhabited until recently. 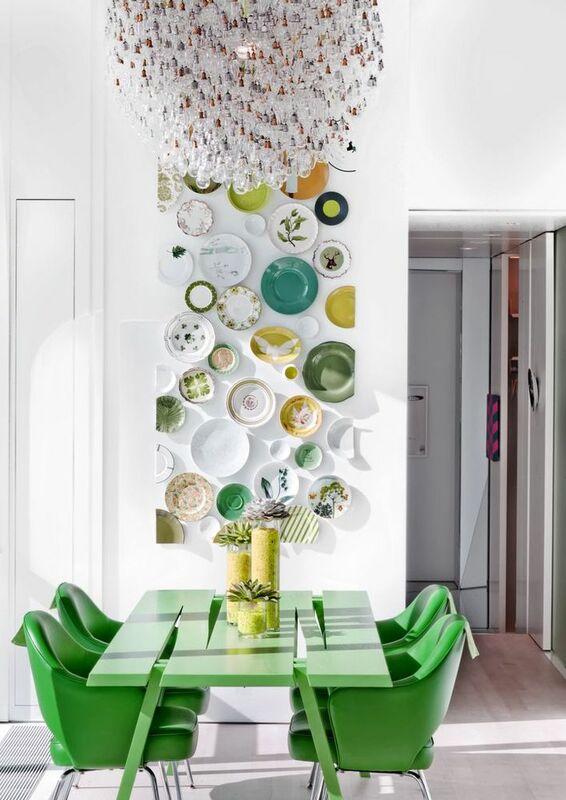 Architect David Hotson and Dutch-born interior designer Ghislaine Vinas have transformed one of the oldest surviving skyscrapers in Manhattan – The American Tract Society Building. 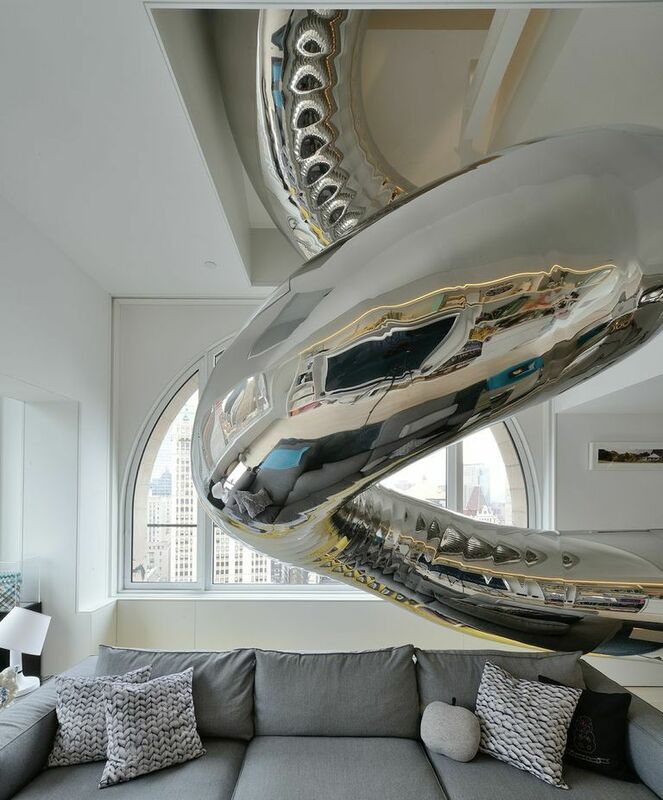 Only recently inhabited space with full panoramic views of the city was transformed into an adult playpen with some highly imaginative additions— -story open living room, glass walking bridge, a climbing column and a stainless steel slide that snakes through each floor. 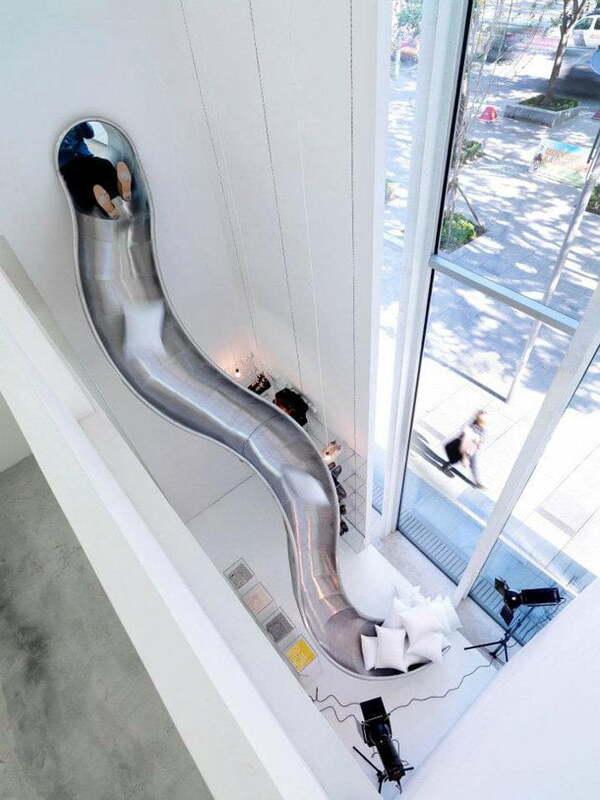 The most amazing of which is the 80-ft metal chute that weaves its way down through the apartment’s floors. 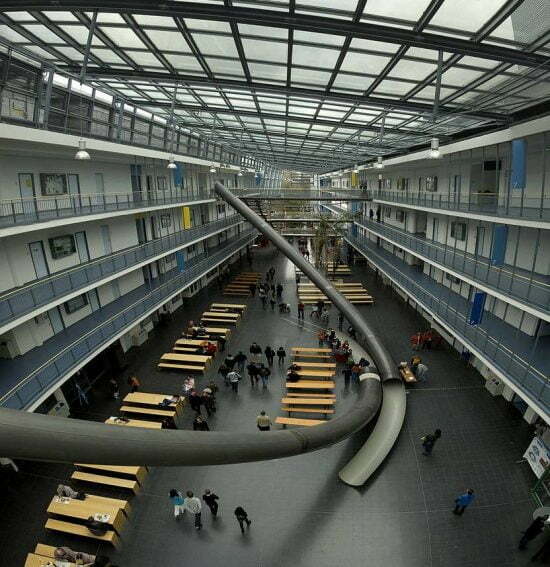 This slide was made in Germany, constructed on site, and its entrance and exit are shaped like a vast funnel. 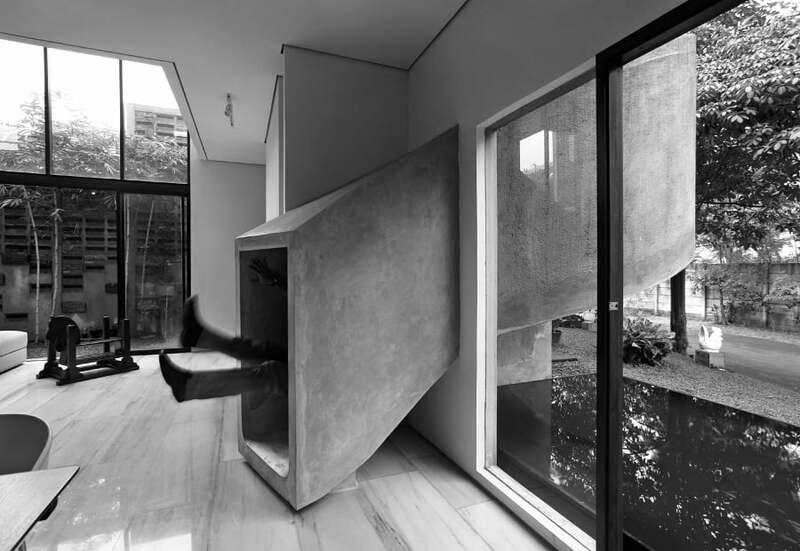 It’s passage is broken by a landing on the bedroom level, allowing riders to stop off, on their way down. 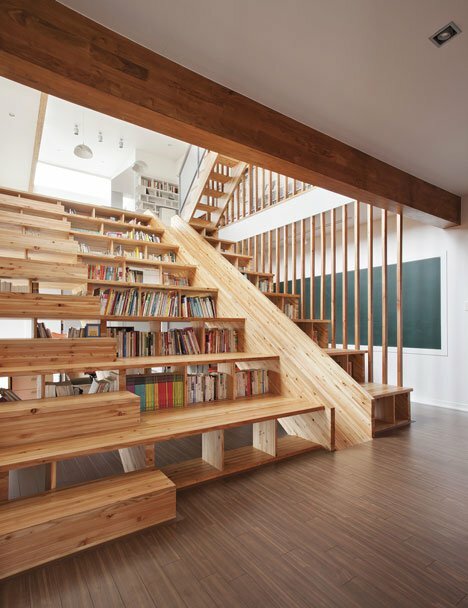 This South Korean house design by Seoul studio Moon Hoon. 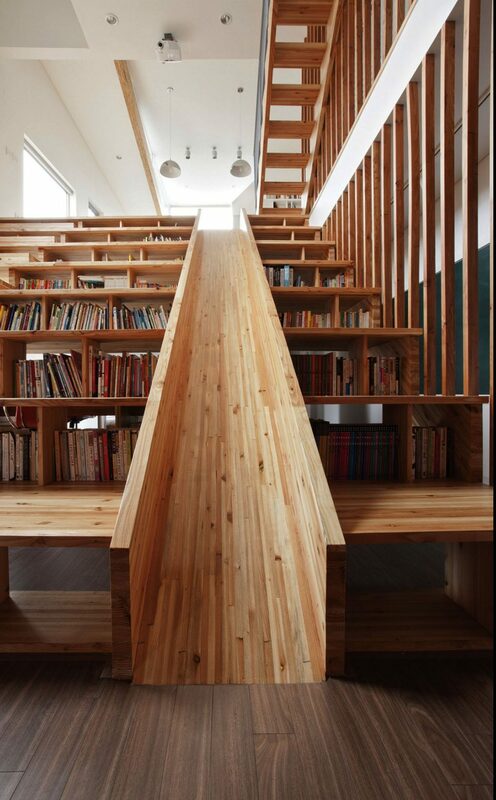 Named Panorama House, the three-storey residence is home to a family of six in North Chungcheong Province. 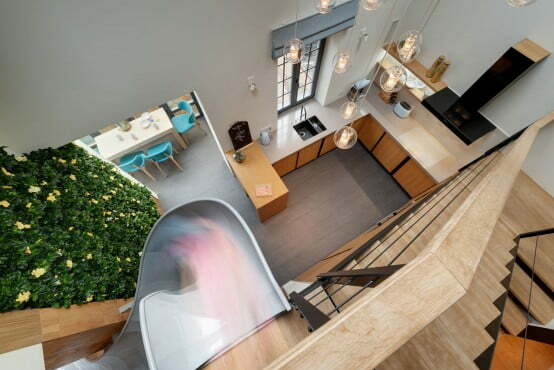 The clients had asked designers to include various spaces where their four children could play, so the architects designed a house where different floors belong to different residents.